Over the weekend I managed to get quite a lot of dyeing done and was very pleased with how this sock blank turned out. 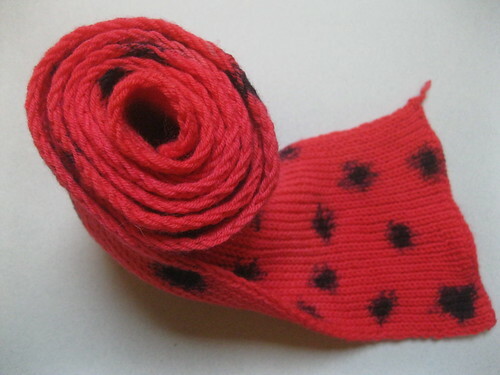 Reminds me of ladybirds and santa’s boots. 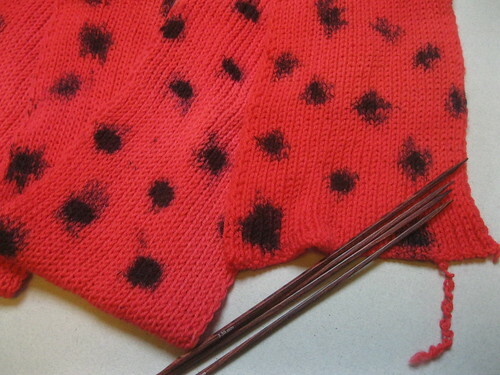 Simply unravel and knit!